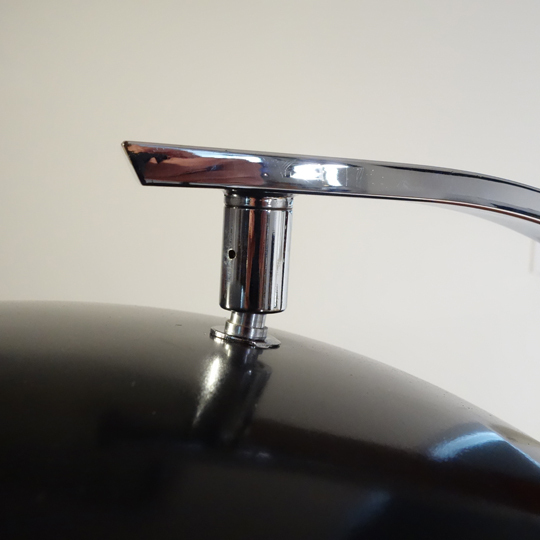 Often featured in iconic movies and TV series such as Mad Men. 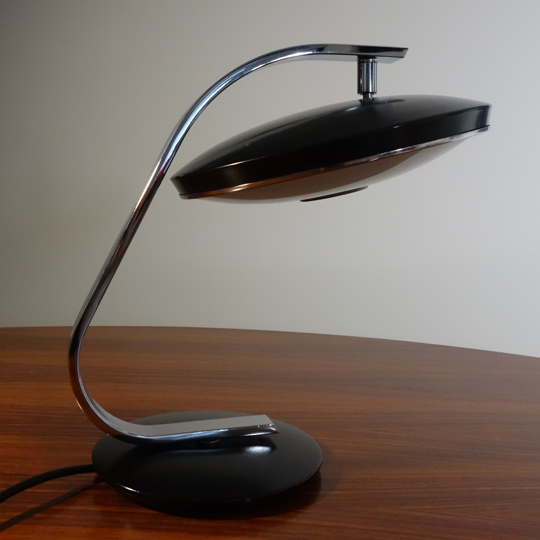 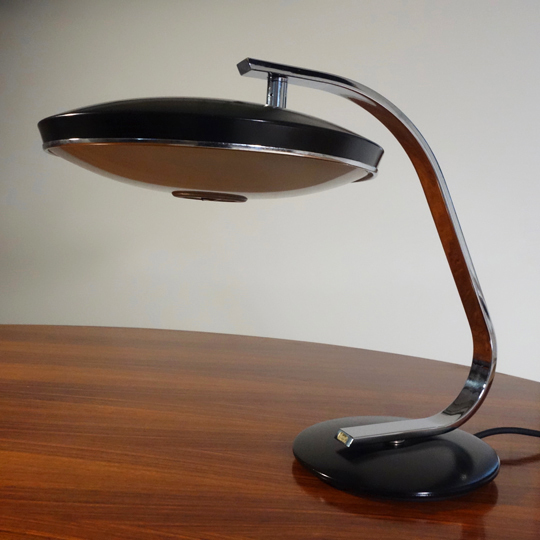 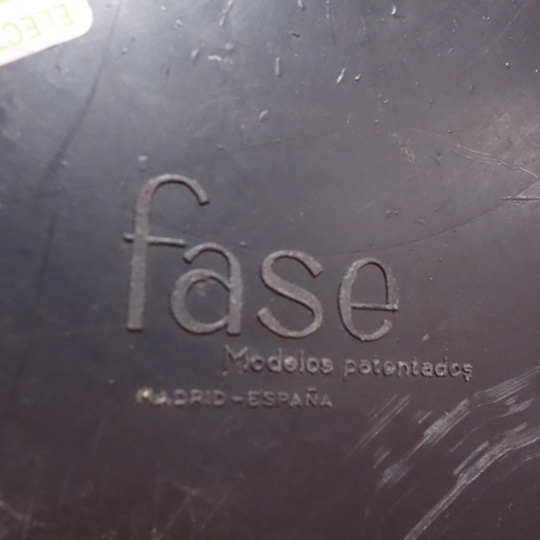 This fabulous and much sought after desk lamp was produced in the mid 1960's by the Spanish manufacturer Fase (Madrid). 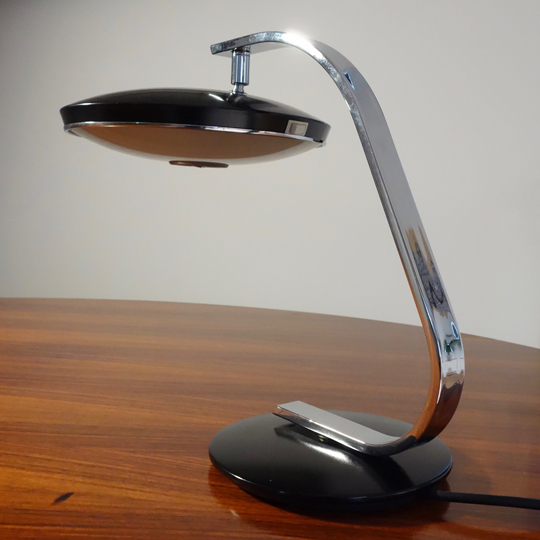 A very elegant desk lamp constructed in black enamelled metal with articulated head and supported by a chrome arm. 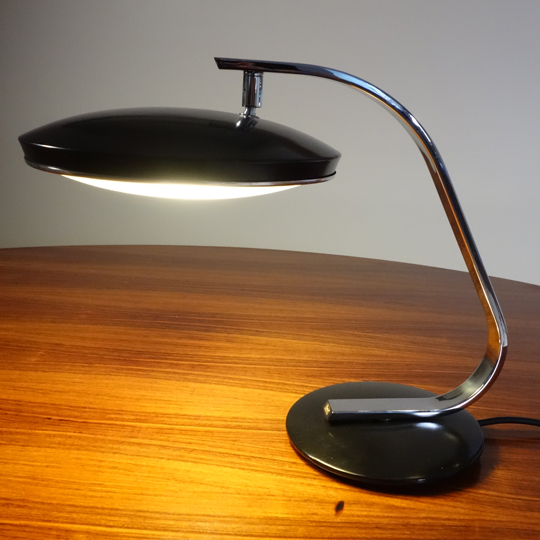 The shade contains a glass diffuser and takes 2 bulbs (E27). 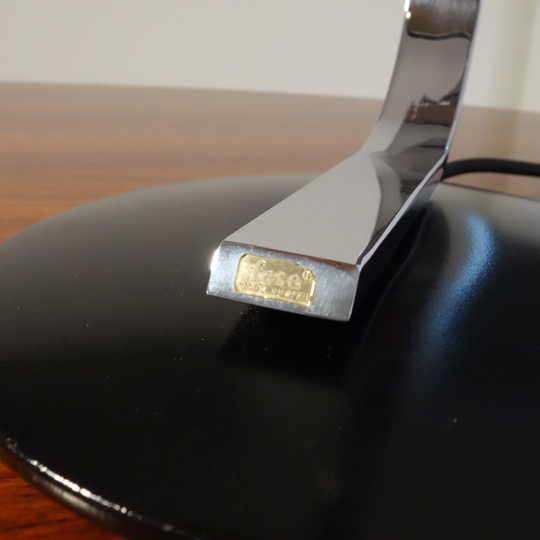 Makers sticker and stamp on the lamp (see photos). 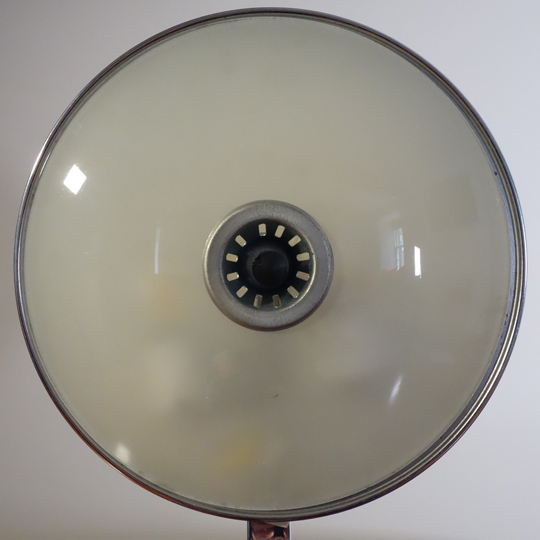 In very good vintage condition with minor signs of wear on the chrome. 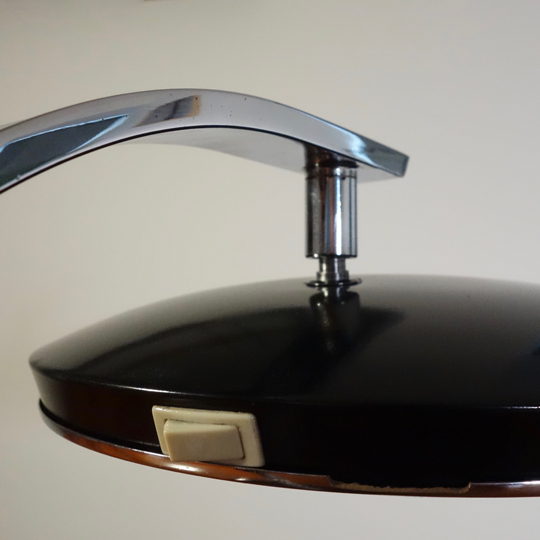 The lamp has been professionally restored and resprayed to resuscitate its original glory.